Originally published on the blog at http://MsWillipedia.com. 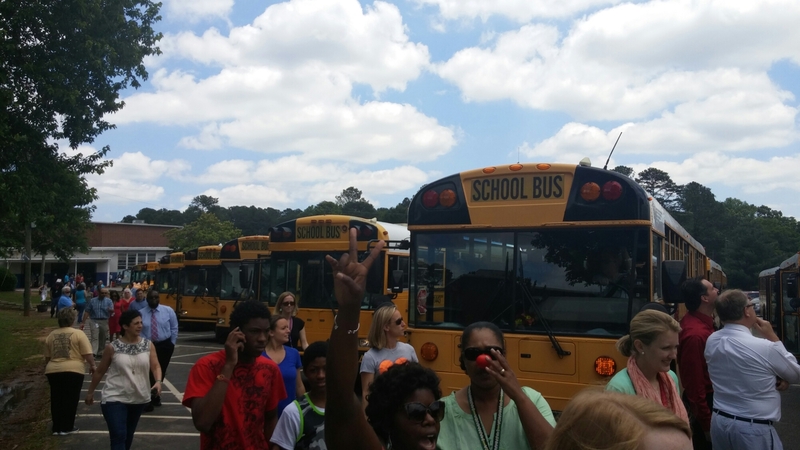 As the buses rolled out of the parking lot for the last time this school year, I was so excited to see my school babies go and grow. Those eighth graders, who entered my classroom a mere nine months ago, who had made me laugh, shake my head in disbelief, and sigh repeatedly, were going on toward their next chapter in life. I smiled widely. I felt proud. I genuinely feel pride toward all students who have moved through my classroom, but having previously worked in a school with a highly-transient population, it felt more challenging to cultivate a true family feeling in each of my classes. This has been my goal for years, and this year, at my current school, it felt possible. It seems so cliche’ to say that I am proud of my students, but this group was an extremely unique one. In all of my years of teaching (admittedly much shorter than those of others at seven years) I had never taught a group of students that were all so mature, driven, hilarious, and felt like my own children on many occasions. Thanks to our numerous classroom discussions and explorations of written media, my students tried their hands at poetry, article writing, filmmaking, art, and more all with the central focus on English Language Arts. Thanks to our Genius Hour projects, my students delved headlong into their own interests and shared them with their classmates. It was such a beautiful experience, and we did Genius Hour twice. Next year I know will be even better because this group of students, like the ones I have taught before them, have made me a better educator. Not only were my students open to approaching class differently and trying new lessons, but the relationships I established with each class and with each student have left me with more wisdom, compassion, and awareness than before. For that I am eternally grateful. Next year, as this year’s eighth graders navigate the halls of their chosen high schools and embark upon their ascent into adulthood, I hope that the lessons they encountered have made them better students. More importantly, I hope that the experiences they encountered within the walls of ECMS have helped them become better versions of themselves. In the end, I know that I have become a better version of myself from having met, worked with, and taught all of my students throughout the years and especially this year’s group.